BBC World Histories is a bimonthly publication published by the team at BBC History magazine. 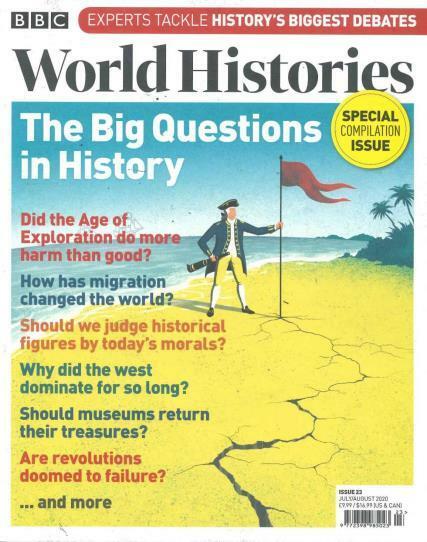 Buy a single copy or subscription to BBC World Histories magazine. The title explores diverse subjects and consists of in-depth features from our global past – from ancient cities to the spectre of nuclear war. Each issue features on a diverse array of countries and periods, expert opinions on the historical issues behind today’s news and more. BBC World Histories is an essential for anyone that is interested in all things historical!